Fifteen years ago today the crew of STS-88 (Space Shuttle Endeavor) mated the first two modules of the International Space Station. Endeavor launched with the Unity Node on board. The shuttle captured the Zarya module and mated the two pieces in the shuttle's payload bay. 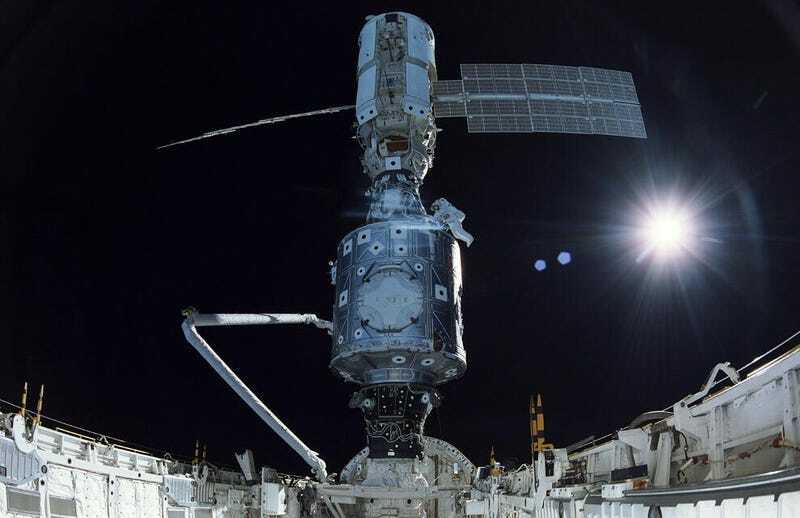 The first space station assembly mission was a success. Bonus image: 20 years ago today astronaut Kathy Thornton discards old Hubble solar arrays during the first Hubble Space Telescope servicing mission, STS-61 (also shuttle Endeavor).